Hummus, it’s such a versatile dish. I have always loved this garlicy creamy goodness, but unfortunately my love was sort of a one way street. My body doesn’t really care for certain legume dishes, and hummus was one of them. So I was ecstatic to say the least, when my raw vegan zucchini hummus turned out just as good as the real thing. I actually prefer it over the normal one, as it feels lighter and I can eat as much as I want without feeling weighed down. 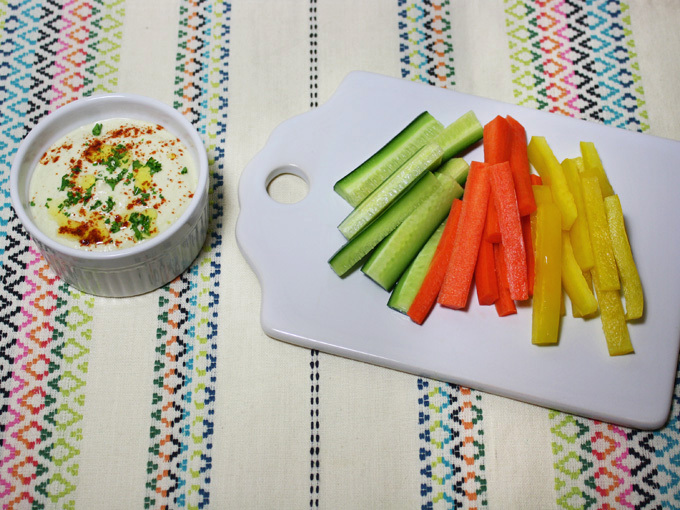 Traditional hummus is already a healthy dish on its own, but this raw hummus is even healthier! With nutrients like vitamin C, beta carotene and fiber from the zucchini, calcium, magnesium, and copper from the sesame seeds, and vitamin B and E from sunflower seeds, it’s a nutrition power house! Makes a great snack all around. To make this easy peasy hummus, you start by soaking the sesame seeds and sunflower seeds for 8 hours. Rinse well and drain after soaking. Peel the zucchini and roughly dice it to measure 1 1/2 cup worth. You peel the zucchini so that the hummus color doesn’t turn out green. But if you don’t mind the color being green, and are using an organic zucchini, you can leave the skin on. You’ll get the nutrition from the skin too. I often leave the skin on, if I’m making a quick batch just for myself. Add all the ingredients into the blender and blend until smooth! Done! How easy was that? Sprinkle some paprika and chopped parsley. You can lightly drizzle some olive oil too, if you like. I like eating it with veggie sticks. Simple yet so delicious! 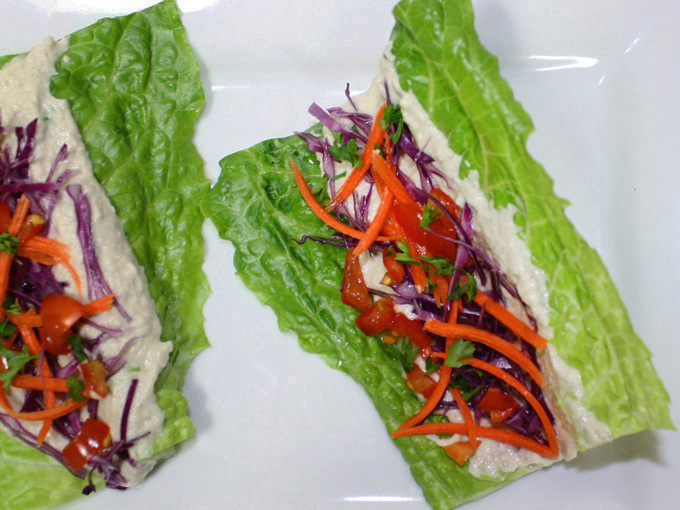 You can make it into lettuce boats, by slathering some hummus on a piece of romaine lettuce, and top with veggies of your choice. 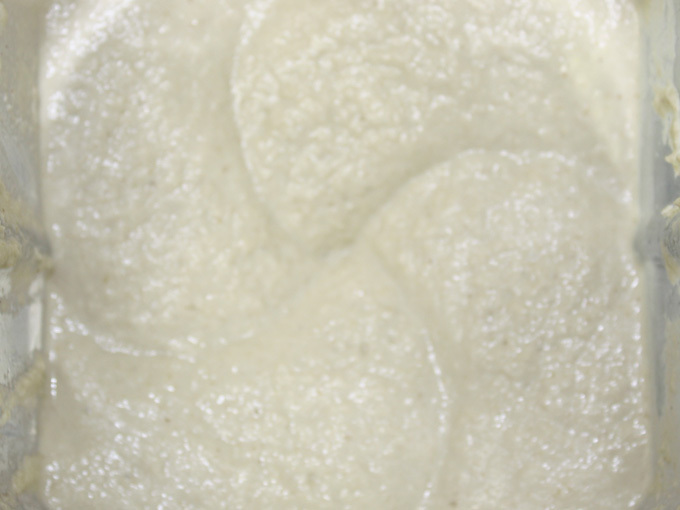 Use it as a dip or slather on anything you like! 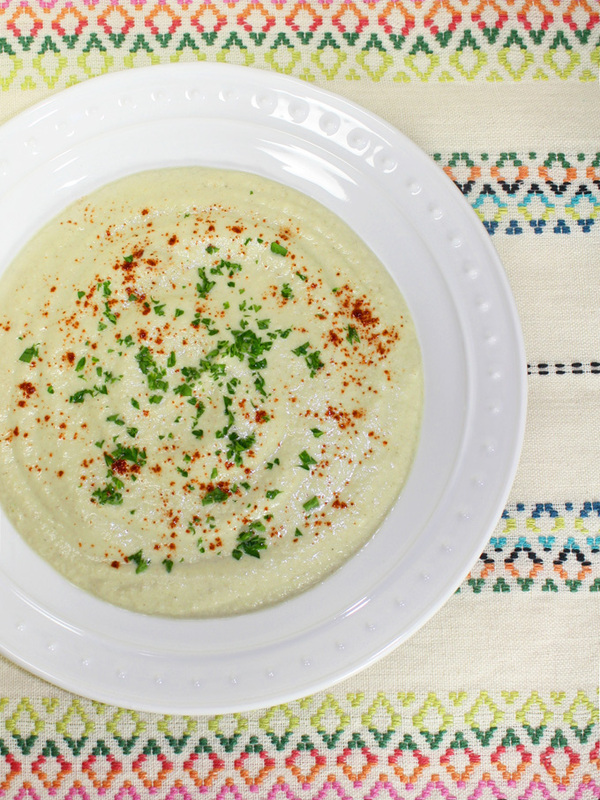 A great staple to have on hand for all you hummus lovers out there! Enjoy! Soak the sesame seeds and sunflower seeds for 8 hours. Rinse well and drain. Top with paprika, chopped parsley and/or some olive oil for garnish. Keeps for 3 days in the refrigerator. Store in an airtight container.